At the beginning, back in 2011 it was called System Center Advisor and was a cloud based service which used dedicated agents and gateways to collect information from your infrastructure. It was just capable of analyzing just a few workloads like Windows OS, Active Directory, Hyper-V, and SQL Server 2008/2008 R2 in the first release. I would compare it to a Best Practice Analyzer or assessment service. Between 2012 and 2013 the Microsoft invested more into this service and added more workloads you could analyze like Exchange, SharePoint, Lync and of course the latest Windows OS, SQL Server and Hyper-V versions back then. One major step forward was that Microsoft built a connector for SCOM 2012 SP1 to utilize SCOM to collect the data and send it up to the System Center Advisor Service and also receive the Advisor alerts within the SCOM console. The connector itself was first a separate piece of software / management pack which you needed to download and install. 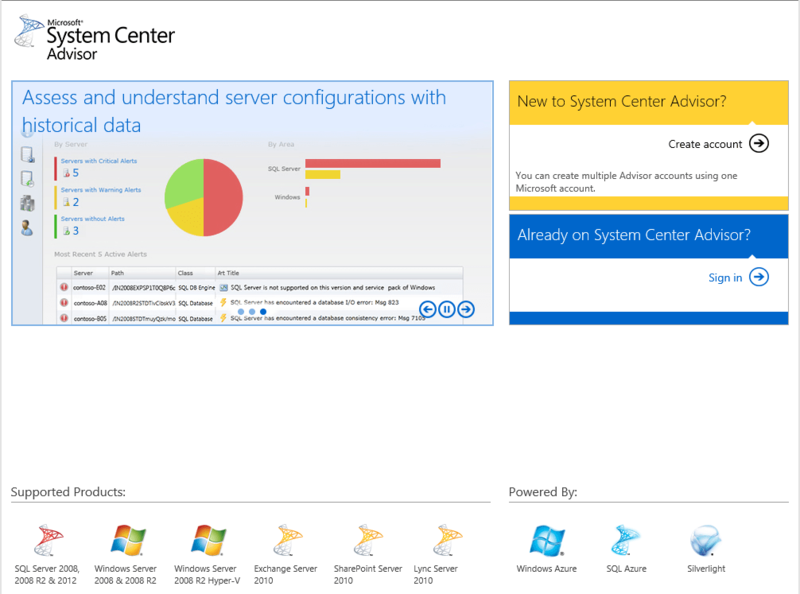 Starting in May 2014 Microsoft launched a new preview of the System Center Advisor service which was from the concept and from a visual standpoint a different beast. The workspace experience was completely different from what we were used to. The Silverlight portal disappeared and a new HTML 5 interface was born and also in the concept behind this service changed. In the old days System Center Advisor was more or less an advanced Best Practice Analyzer / configuration assessment which provided to each recognized issue a solution from Microsoft in the format of Microsoft Knowledge Base articles. In October at TechEd Europe 2014, Microsoft announced Microsoft Azure Operational Insights. The “old” System Center Advisor functionality is still available and has been integrated as part of Microsoft Azure Operational Insights. 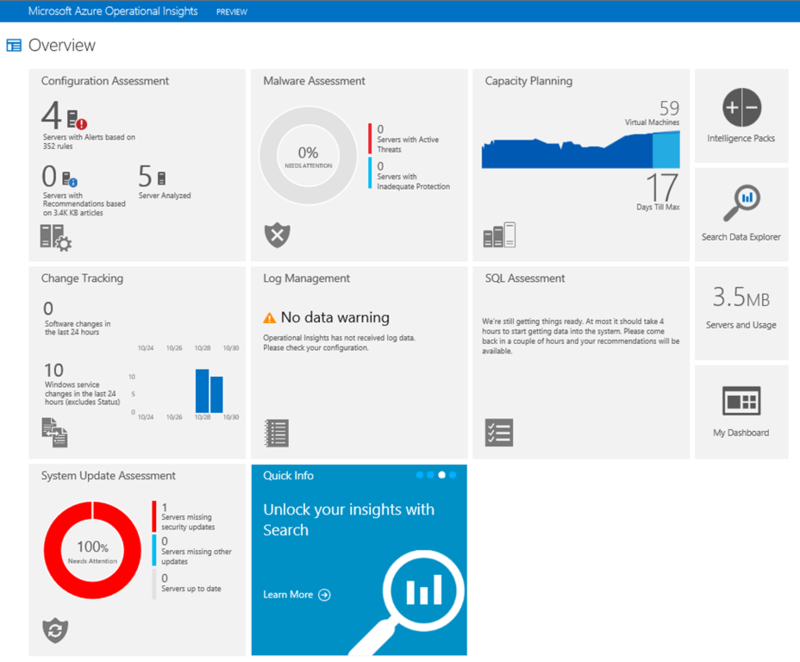 The new Microsoft Azure Operational Insights service provides much more than the original Advisor service which provides just configuration assessment. Operational Insights provides a highly scalable, elastic platform which can provide deep insight into your different areas of your environment. Microsoft Azure Operational Insights uses additional modules which you are able to add to the service and therefore extend the functionality. These “extensions” are called Intelligence Packs and deliver new capabilities to gain deep insights into your environment. Today there are the following 7 Intelligence Pack available and during the next few month Microsoft will extend and build new Intelligence Packs for Microsoft Azure Operational Insights. The Intelligence Pack Gallery lets you add and remove Intelligence Packs like you are used from other stores. 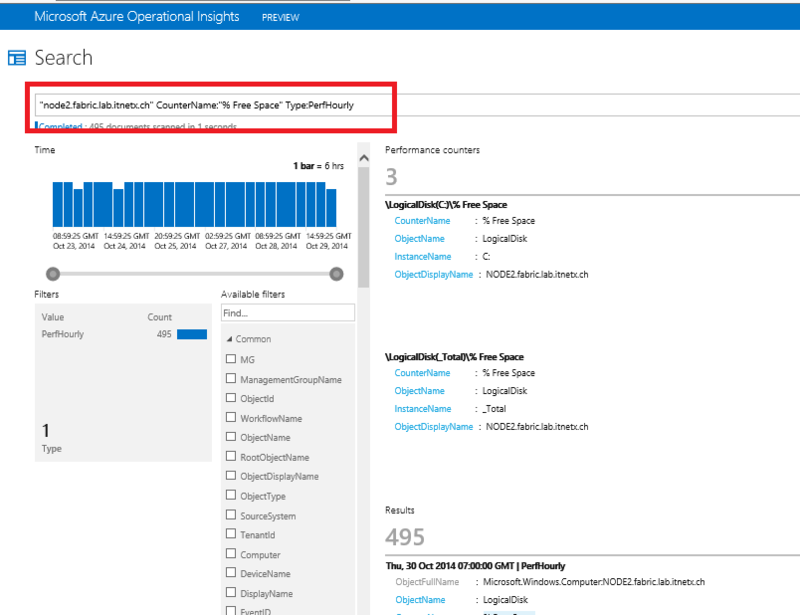 In addition Operational Insights has a very powerful search and analytic capability built on top of Azure Storage with a customizable PowerShell-looking syntax. This lets you drill down and analyze every piece of data for troubleshooting purposes and also predictions like storage or compute power bottlenecks in now and in the future. But what does that mean such a powerful tool in the cloud, does it replace SCOM and / or is SCOM a requirement for Microsoft Azure Operational Insights? Well, no and yes. Microsoft Azure Operational Insights connects directly to SCOM as an attached services and utilizes the SCOM platform with all it’s on-premise advantages. 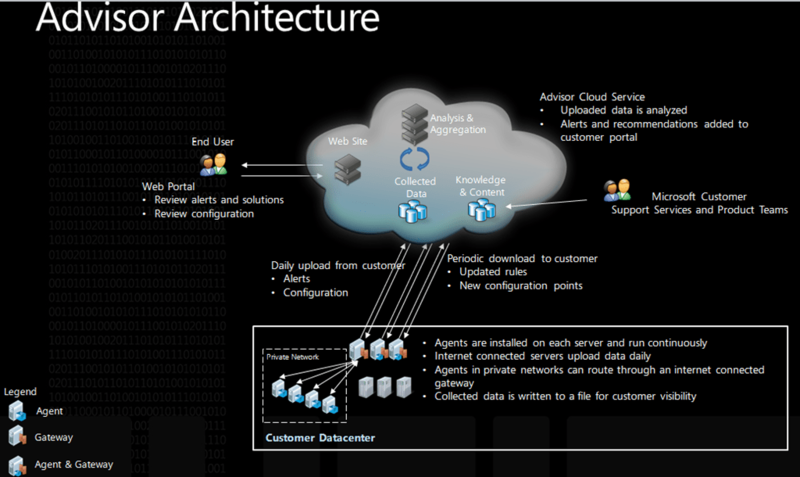 But there is also the capability to connect the Microsoft Monitoring Agent directly, which is actually the new SCOM agent since SCOM 2012 R2. The combination of both worlds let’s you built a very powerful monitoring and analyzing platform for all upcoming technologies and workloads whether those are cross platform systems, Azure based infrastructures or any other Microsoft piece of software located in a private, hybrid or public cloud scenario. So what is next? 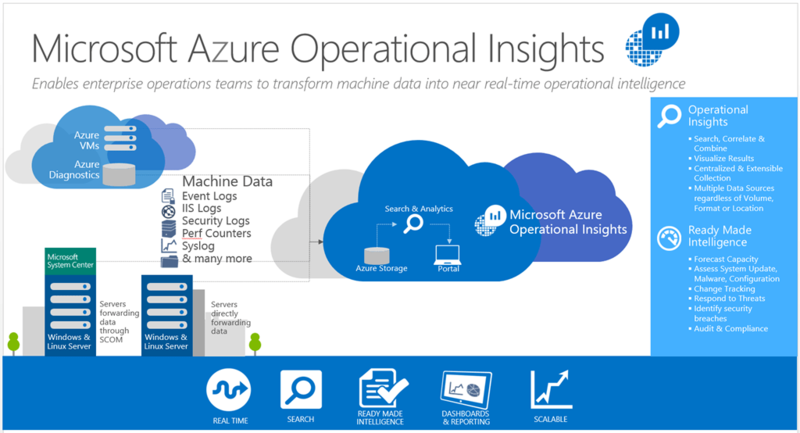 Microsoft Azure Operational Insights is still available as a preview and therefore free. This will change when this service is released officially. If you are a System Center customer you will have a special price which is not available yet. Audit Collection Services in SCOM will be replaced through the Security Intelligence Pack. This let’s you analyze who did what, when and how. I am sure there will be a lot more to come and we can see how heavily Microsoft is investing into this service. 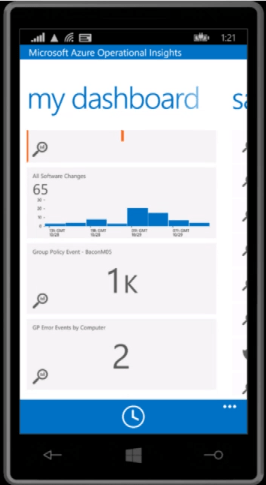 If you wan to try it out go to https://preview.opinsights.azure.com/ and signup for free.